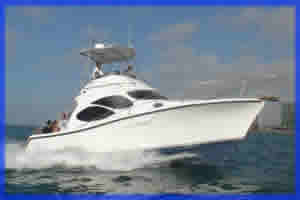 All Yachts posted on this page are presently having all permits to operate with FIT's and full diving charters, booking are made many months in advance, but we also have new economical land-diving alternatives, more economical, all included, please check below our new packages from Cristobal island and Santa Cruz island, great diving and multisport options,check our Christmas holiday packages. For our Galapagos diving, and naturalists tours, besides the scheduled days you choose, you need to allow at least 2 extra days and nights in mainland Ecuador,either Quito or Guayaquil cities, 1 day for the International inbound flight prior to the Galapagos departure, which are in the mornings,and another day, for the International outbound flight.A dream trip must be planned a way in advance, either a naturalist, or a diving one especially during holiday seasons.Our travel specialists will be happy to answer any questions you may have, that are not mentioned on our website, we reccomend you to read most of the information on our naturalist and diving tours frequent asked questions. IMPORTANT NOTE:The liveaboard diving yachts listed below are the only ones operating with permits from the Galapagos Park Administration, in the future , probably next year, we will post any other yacht that will start operating regular diving cruises , meanwhile we can help you booking with the following luxury yachts: the Aggressors, Skydancer, M/S Alta. Cruising the well known islands of Wolf and Darwin. With less land excursions the Northern route is reccomended for experienced divers only . it is reccomended to book in advance, below you find a guideline of dates, if the dates doesn't match with your plans,we can help you with our new options, the land-based diving trips listed above.Galapagos diving became popular for divers of all levels,we promote the best and most prestigious diving Yachts. The prices on this list are subject to change and do not include: the International airfare, airfare to Galapagos, the Galapagos Park entrance fee, decompression chamber fee, Ecuador departure taxes, Crew and guide tips, overnight Hotel and transfers. We offer ALL INCLUSIVE options when you book any of our special packages. The diving cruise or naturalist trip price you pay when you book with us, is the same as if you buy it from the supplier. 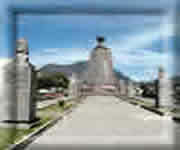 The difference is that when you book a tour or package with us, we make sure that you will receive the best Hotel accommodations and ensure the Quito/Glpgs/Quito flight reservations, transfers and a enjoyable diving experience in the Islands is what you get. We represent the Yachts with best reputation and experience specially in the diving business. 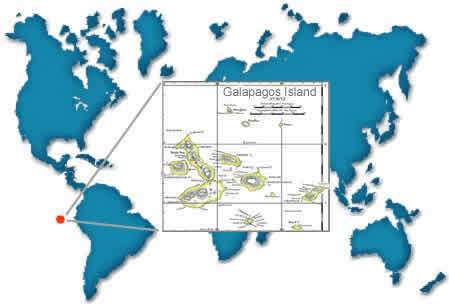 We have over 25 years experience with diving in the Galapagos! Santa Cruz island-Hotel-based-diving tours . The following packages are specially for divers who want to enjoy with more options out of the inhabitated islands, staying in a hotel at night and go on our daily diving trips to the best dive sites, you don't need to book a liveaboard diving yacht many months in advance, prices are much lower than live-aboard Yachts, you will see places not visited by regular liveaboard boats,we help you to arrange a custom tour for you, just choose the dates . Join our hotel-based diving groups , in our fast boat for up to eight divers, with our highly trained divemasters !! New.......This new and diverse Itinerary,a land-based diving Galapagos trip includes daily visits to the central and southern islands and overnights in inhabitated island hotels. This is a multisport activity , with 1 dive daily, snorkeling, mountain biking, trekking ,kayaking and horseback riding. This unique tour combines the best of Galapagos nature, marine fauna, adventure weekly departures arriving Quito-Ecuador Mondays read Itineraries our boat and availability. We make arragements for private groups, 6 paxes minumun. Combined 4 days Amazon Jungle and 5 days land-based diving Galapagos- prices from $ 3,480 For these packages you need to begin the Amazon jungle resort on fridays, adventure weekly departures arriving in Quito-Ecuador thursdays . Galapagos diving, and mainland Ecuador extensions trips are the best options to enjoy your vacation, in such a small country,with a variety of climates,regions,a chain of volcanoes, with a multicultural ethnic groups, like nowhere else in southamerica. where you can view much of this compact country in just few days, you can find the golden coast region, the dense amazon jungle rainforest and its superb lodges resorts ,the andean chain of volcanic landscapes and the enchanted Galapagos Islands. Call us to check availabilty. Spaces are sold every day. on our luxury yachts: the Aggressors, Skydancer, Nemo I & II. Cruising the well known islands of Wolf and Darwin. With less land excursions the Northern route is reccomended for experienced divers only . There are very few Yachts with northern Itineraries and it is reccomended to book in advance, below you find a guideline of dates, if the dates doesn't match with your plans,we can help you with other Yachts, remember also you can have the option with land-based diving trips listed above. prices are for the Yacht space only and are including Wolf and darwin islands.